We don’t have much more to say about it than that (but watch us). In the world of travel bags (and we mean the world) no one makes better bags than Burton. In fact, we believe that of all the things Burton designs and has manufactured nothing comes close to their luggage. Not their snowboards, boots, goggles, helmets, wovens, outerwear, nothing. In our opinion Burton’s bags stand above any other luggage manufacturer in the world. If you don’t trust us, trust Coachella 2019 performers RÜFÜS DU SOL. They travel all the time and what bags do they prefer? Burton. To check out Burton’s complete line of bags, click the link. On May 4 and 5, 2019 the Del Mar Fairgrounds will again play host to The Boardroom International Surfboard Show. Celebrating its 12th year, the Boardroom (formerly Sacred Craft) highlights the surfboard manufacturing industry. A gathering of like minded enthusiasts who are drawn by an authentic love for riding waves and the crafts that move us along those waves. The event features booths from all your favorite surfboard brands and craftspeople, parties, talks, the California Gold Surf Auction, and the Icons of Foam Tribute to the Masters shaping competition honoring Wayne Lynch. The shaping comp will feature Travis Reynolds, John Oppito, Jordan Brazie, Steve Brom, Ryan Burch, Dan Mann, Daniel Tomson, and Shyama Buttonshaw. What them work their magic live on in person. Tickets for the weekend are $15, kids 16 and under always free. For tickets, click here. For more information follow the jump. The above footage from the security camera at the Suisun Rotary skatepark in Fairfield, California purports to show a common dust devil, but who are they kidding. This is rare footage of a superhero wielding his wind powers to destroy. As skaters roll away, notice how he puts his arms out, and begins to spin pulling in a raging tornado of power strong enough to rip the roof off the restroom? When he walks away the wind stops. Hopefully, he can get these powers under control and use them for good in the future. . . and maybe work his magic somewhere else. Best Squaw Valley tram jam ever. . . if you’re into that kind of thing. Pixie And The Partygrass Boys and Lindsay Lou take a Roll On The River. It’s hard to believe, but it appears that eventually every dead fashion brand ends up in Jamie Salter’s hands. So it should be no surprise that he was able to add Volcom to his arsenal of 50 zombie brands which also includes Airwalk and Vision Street Wear. Yes, this is an over-simplification of the deal which includes the creation of a new operating group run by Todd Hymel and the current Volcom management of which ABG is a minority partner, but hey at least Vee-Co is out from under the French and zombie brands live forever. For the official word and no mention of how much ABG paid for Volcom (last time it sold for $607 million, this time we’re guessing much, much, much less) please follow the jump. In a keynote address yesterday (March 25, 2019), Apple’s Tim Cook mentioned that their newly launched News+ app is like having an “entire newsstand on your iPhone,” but for us, not so much. First, as we’ve been saying lately there aren’t many surf, snow, or skate magazines left, and second, the only one that made it onto the Apple app is Surfer Magazine. The new “Netflix for magazines” app charges users $9.99 a month for unlimited magazine viewing from at least 300 different magazine titles. For the olds who enjoy reading The New Yorker, Vanity Fair, Rolling Stone, The Week, and Surfer, this new subscription model might not be terrible, but spending $120 a year for magazines that can only be read on iPhones, iPads, or Apple computers, doesn’t seem like the best deal when a Surfer Magazine subscription can be purchased online for $14. For more info on Apple News+ please click the link. At this point see skate, snow, and surf headlines in our sleep and though we don’t seem to have time to snark this batch up, we still want them in an easy-to-scan format. So here they are as of March 25, 2019. Click the link for all the headlines you should have seen in the past few weeks (in no particular order, sadly) and enjoy the news. We’ve been out of the Surf Industry Manufacturers Association loop for more than a minute so please forgive our ignorance, but we were pleased to discover that SIMA is still doing an annual awards show. Yes, in 2019. Their 15th, apparently. And last night (March 20, 2019) they got their membership together for a “sold out” show at The Observatory in Santa Ana, California to pat (Parnell) each other on the backs for surviving another year and to swap awards for all the great work they’re doing. 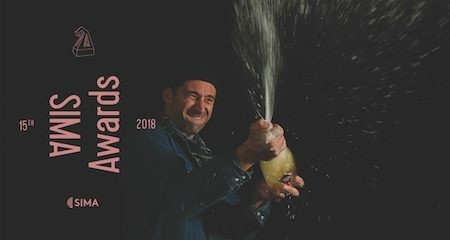 Brands to grab awards included Vissla, Billabong, FCS, Vans, and a few others. There were 116 nominees from 41 brands. The breakout brand of the year award went to Seea. Who? Seea, you know, the swim brand that “is dedicated to the pioneering women who first braved the waves, and to every woman who has ever searched for a suit that is feminine, comfortable, and fun.” Now you know. Billabong was the night’s big winner with five awards. Quiksilver was nominated in six categories (eight if you count Roxy) and they didn’t win a thing. 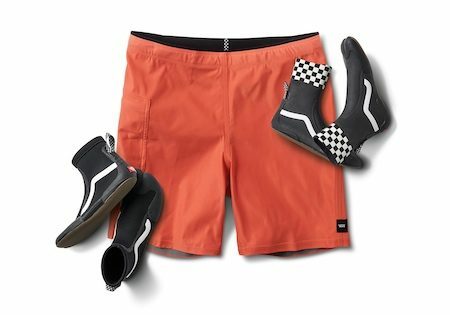 Volcom didn’t get a mention, and Hurley, well Hurley is no longer a member of SIMA, and you can’t win if don’t pay play. SIMA even had an award from what’s left of surf media for something called the “Consumer Media Feature of the Year.” It was won by Stab Magazine for The Electric Acid Surfboard Test. The other media in the running were Surfer, Surfline, and something called The Inertia. For the official word from SIMA including all the winners and nominees, please follow the jump.